If you are wondering what mattress manufacturer makes the ideal mattress to help you sleep for years (not all at the same time) to come, it is important to do your homework first. To get you started, I created this little comparison of Sealy vs. Simmons. Sealy is the second largest mattress brand in the United States. Since they were founded in 1881, they have achieved quite a bit, including introducing the cutting edge Posturepedic mattress and creating the Orthopedic Advisory Board. The innerspring coil and the box spring are among the many inventions Sealy is known for. In addition, they have patents for Posture Channels, Pressure Relief inlays, and other paradigm-shifting technologies. They even created their own proprietary latex. What Innerspring Mattresses Does Sealy Offer? High-quality textiles and quilting are used in Sealy’s Innerspring Series. They also feature strong cover fabric and many layers of supple, soft quilting for added comfort. Gel foam is also included in these mattresses to nurture a cool sleeping experience. The memory foam in these mattresses offers body embracing conformance. You can choose from the Sealy Stability Coil, which minimizes motion transfer with individually encased coils, or the Classic Coil, which offers a mixture of comfort and deep down support with its titanium alloy coils. Chances are, if you have heard of Sealy, you have heard of their Posturepedic mattress. Sealy Posturepedic has grown into a large product line with several smaller series. All of the beds in this product line aim to support your back and align your body to help you sleep. There are four layers to the Posturepedic mattress. At the top is a fabric with climate treatments for a cooling feel. Foam layers are below this. The next layer is Sealy Embrace encased coils that respond to the curves and natural alignment of your back. And, the deepest layer is the CoreSupport Center. 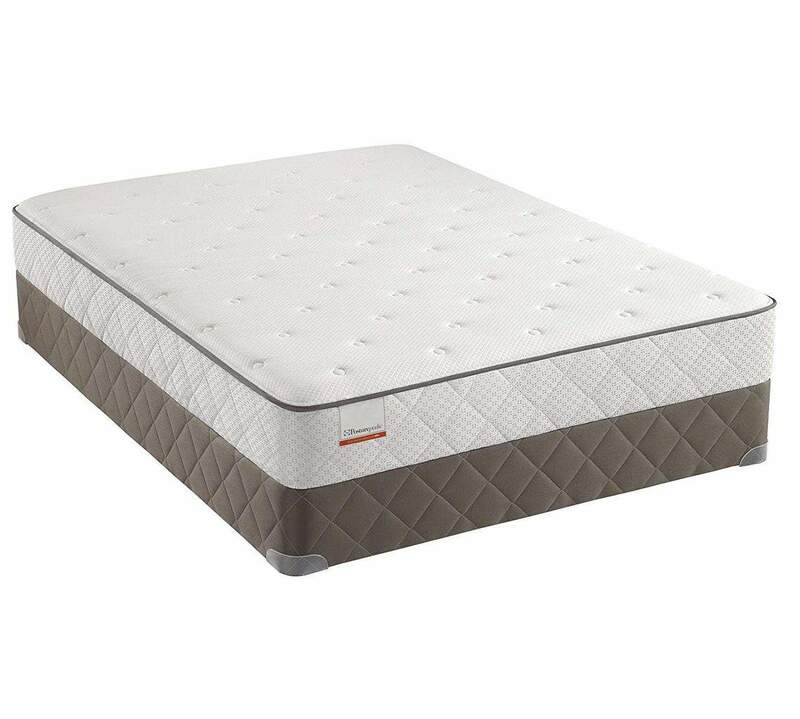 Sealy has a Gel Memory Foam Series that seeks to combine support, value, and comfort. The gel memory foam is designed to conform to your one of a kind body shape and weight. The sleeping experience with the Gel Memory Foam Series could be described as making you feel like you are sleeping within the mattress instead of on top of it. Restorative, relaxing, deep sleep are within reach with the temperature the mattress keeps your body at. In order to deliver support by hugging your body, there is classic memory foam below the gel memory foam. With the next Polycore support system layer, compression resistance and proper body alignment are encouraged. How Expensive Are Sealy Mattresses? Compared to the other major players in the industry, Sealy is relatively affordable. The best-selling Posturepedic Series and Gel Memory Foam Series begin at $599 for a queen. For as little as $399, you can get a mattress from the Innerspring Series. Or, if you have extra money to spend, you can try the luxury Posturepedic Premier Hybrid Series for $1,299 and up. Simmons has been around since 1870. In that time, they have sold more than 100 million mattresses. Today, they are the third largest mattress brand in the country. About 90 years ago, they invented the first wrapped, pocketed coil spring mattress technology. Beautyrest is their most popular product line. You have likely seen what it can do from its famous Bowling Ball commercials that first came out in the ‘90s. The Pocketed Coil Technology that minimizes motion transfer in these mattresses is just one of the many advances Simmons has brought about. There are four main types of Simmons Beautyrest mattresses. 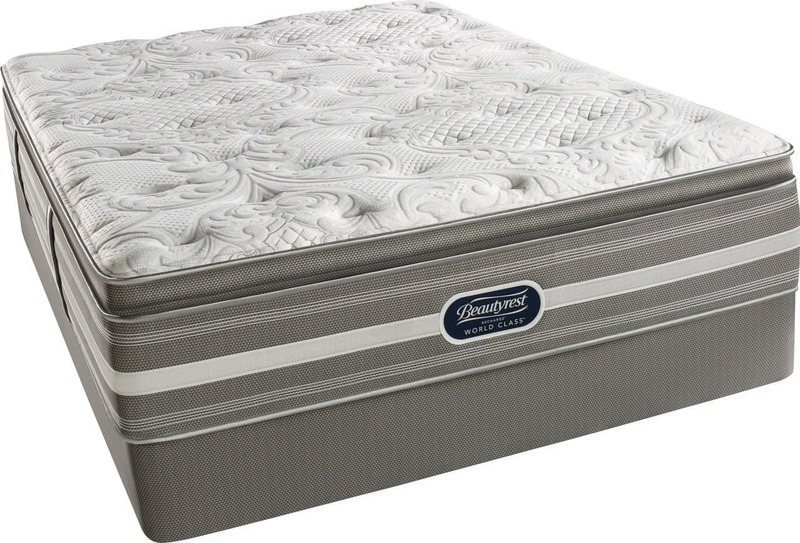 First, there is the classic Pocketed Coil mattress. Next, there is the Beautyrest Memory Foam Plus, which is designed to provide exceptional comfort, pressure relief, and conforming support using Simmons’ innovative memory foam. The other Beautyrest mattresses would be considered luxury options. The Recharge Hybrid has the pocketed coil as well as AirCool Gel Memory Foam, which facilitates cool, comfortable sleep. Finally, there is Beautyrest Black, which has more advanced versions of all of the above features as well as style and luxury. There are a number of features in the Beautysleep product line. The 700 Series Coil Technology offers comfort, back support, and motion separation. The AirCool Memory Foam is also found in the Beautysleep mattresses to promote freedom of movement and pressure relief. Other models have Geltouch Foam. Stretch-knit fabric is found on all of the Beautysleep beds. This luxurious fabric is both soft and comfortable. Some models also have damask fabric, which is super lightweight as well as silky. All Beautysleep mattresses have a foam-encased edge support system which maximizes the sleeping surface. Simmons mattresses are great because they are widely available and come in a selection of comfort, price, and firmness levels. There are few reports of initial odors or heat retention with these mattresses. After researching what consumers thought online, I found that the lower-end innerspring beds have questionable longevity. This is a standard issue for cheaper mattresses in the industry. Simmons mattresses cover just about all of the pricing points. For instance, on the high end, there is the Black Kate Luxury Firm Pillow Top Mattress, which can go for upwards of $3,200. At the other end of the spectrum, you can find innerspring mattresses from Simmons for as little as $400 or less. Simmons vs Sealy: What's the Verdict? So, when it comes down to Sealy vs. Simmons, which is the better brand? This has a lot to do with your budget. If you can afford the high-end, luxury Simmons mattresses, you should get one. However, you will not be disappointed by Sealy if you are working with a tighter budget.